30 Middle School Math and Science Teachers Selected for Microgravity Flight in Long Beach, Calif.
LOS ANGELES, Aug. 23, 2011 -- The Northrop Grumman Foundation is pleased to announce this year's Weightless Flights of Discovery "Class of 2011." Thirty math and science teachers from California and Nevada have been selected to participate in this year's teacher development program. The selected teachers will participate in a unique initiative that places them on micro-gravity flights to test Newton's Laws of Motion and in-turn energizes their students in the formative middle school years. The flight will take place in Long Beach, Calif. on Sept. 26, 2011. 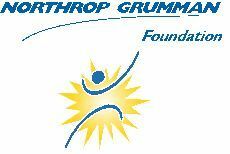 The Northrop Grumman Foundation is partnering with the Zero Gravity Corporation to offer the Weightless Flights of Discovery program, one of several initiatives the Northrop Grumman Foundation sponsors to promote education and stimulate student interest in science, technology, engineering and math (STEM) fields. The teachers will participate in a full-day workshop several weeks before their flights. They then will work with their students to develop experiments to be conducted in lunar gravity, Martian gravity and weightlessness environments. Following the approximately two-hour flight, each teacher will share his or her experiences with their students back in the classroom using video and photos taken during the flight. "Our nation's leaders, including President Obama, through his 'Educate to Innovate' initiative, recognize the need to strengthen STEM education in the United States," said Evers-Manly. "This program, along with others supported by the Northrop Grumman Foundation are very much aligned with this important national goal."